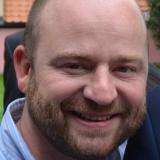 Jason Oliver is currently the Director of ICT at Science Museum Group. 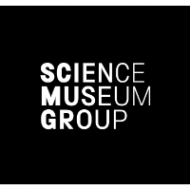 In this role, he has delivered an impressive technology transformation agenda which has reimagined the way that its five national museums engage with their audiences and helped meet the Groups' remit of inspiring people and enriching their lives. He began his career at Sky and the Home Office, before leading an Urban Development Corporation as Chief Information Officer. Here he built an award winning ICT department before being appointed at Royal Opera House, where he successfully delivered the biggest technology modernisation programme in the history of the organisation. Alongside the work above, Jason is an Independent Member on Thurrock Borough Council's Standards & Audit Committee and Members Advisory Panel as well as being a Governor for a local primary school. Jason is also a Trustee for Charity IT Leaders, an Independent Member of Thurrock Borough Council's Standards & Audit Committee and a Primary School Governor.